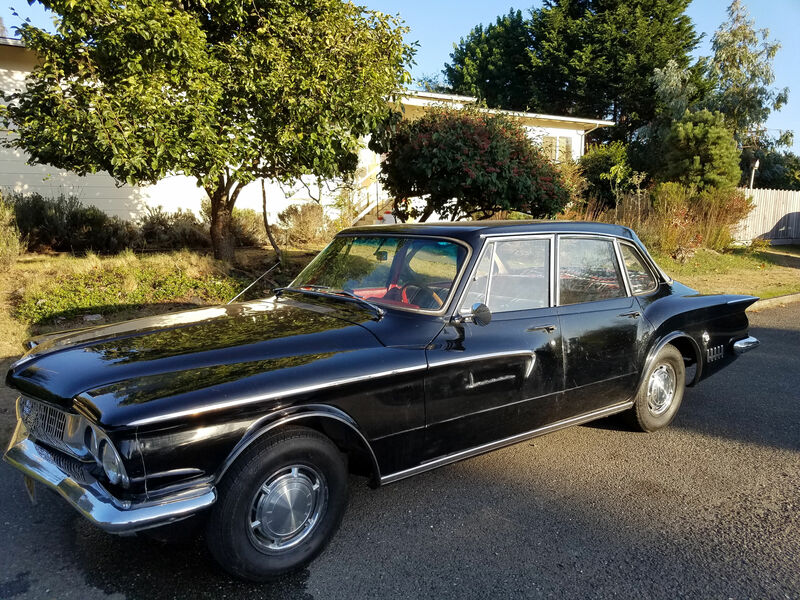 Hello all, I have a 1962 Dodge Lancer that needs your expertise. There's a small leak coming out of the from of the engine, just under the exhaust manifold. It's hard to see exactly where the leak coming from, so I took the manifold off. It does not seem to be coming from any studs. Would it be coming from where the head and block meet? I just installed an electronic ignition and now it's running very rough. I can't say if the leak started before or after the new ignition went it. Is there a chance that the better spark was too much for the old and fragile block? I plan on pressure testing it tomorrow, is there anything I should be aware of? The car sat for 25 years and I have been getting it open over the past several months. She was running really well until I put the electronic ignition in. If you can't fix it, don't break it, right? 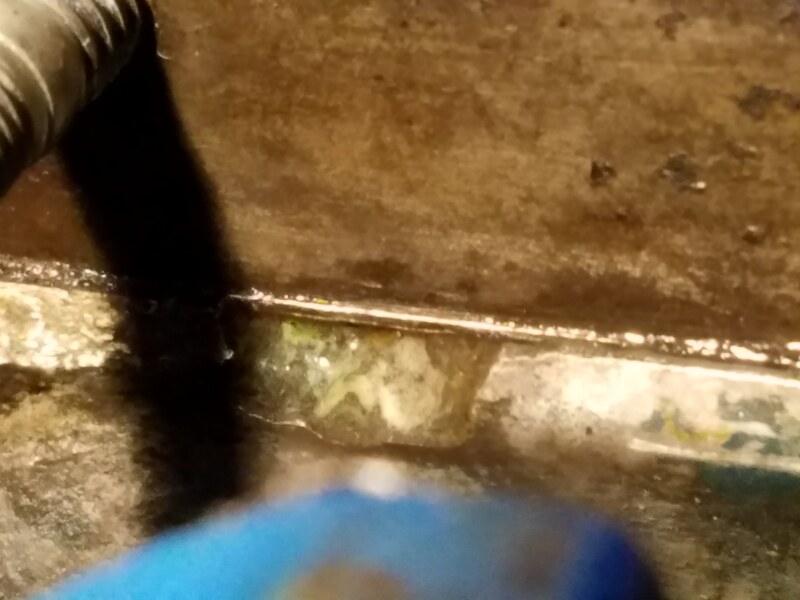 A manifold stud would be the first logical guess for a leak of that description, though depending on how far toward the front of the engine the leak is, it could also be the thermostat housing. 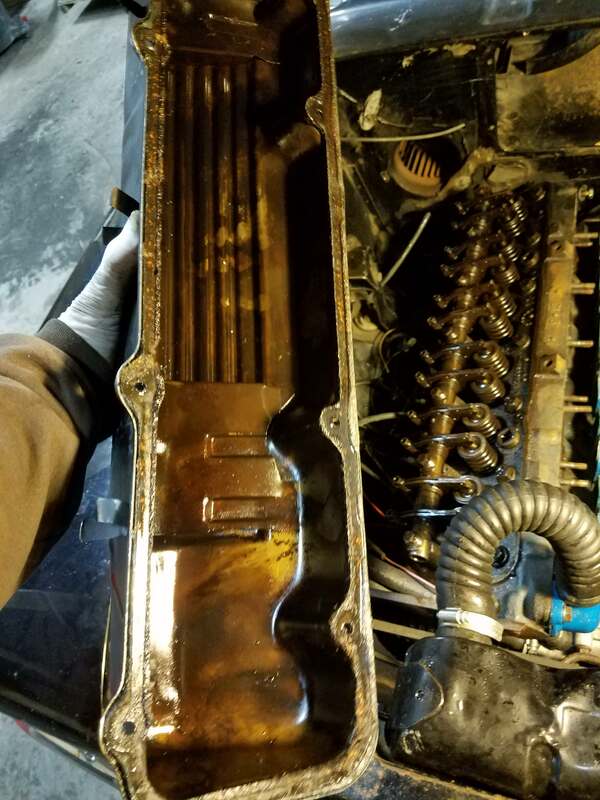 If not, then yes, it could be a head gasket leak—be advised the aluminum engines require a special head gasket; none of the iron-block gaskets will work. The aluminum engines also do not like to sit for long periods of time; they can be badly damaged by corrosion. Check carefully and make sure it's not something easy like the thermostat housing, but it sounds like a head-pull is in your future to assess the condition of the block and repair it if possible. What (exact, specific) electronic ignition system did you install? Too many people who were born on third base actually believe they've hit a triple. I put in the Pertronix system. I am pretty confident it is not the thermostat housing. Is using an aluminum-specific stop leak a bad idea? Using any kind of a "stop leak" compound will (1) not fix the problem, just patch it, and (2) cause you much more pain and suffering in the long run. Fix it properly. The Pertronix kit is usually pretty good; double-check your install and also make sure your charging system is in good shape and putting out good, steady power (a jittery ammeter needle and flickery lights mean that answer is "no"). Electronic ignition will put more strain on the entire secondary side of the system (rotor, cap, plug wires, plugs) so make sure all of that's of good quality—plug wires from Magnecor or Aurora; cap and rotor as per the suggestions in this long (but worthwhile) thread. 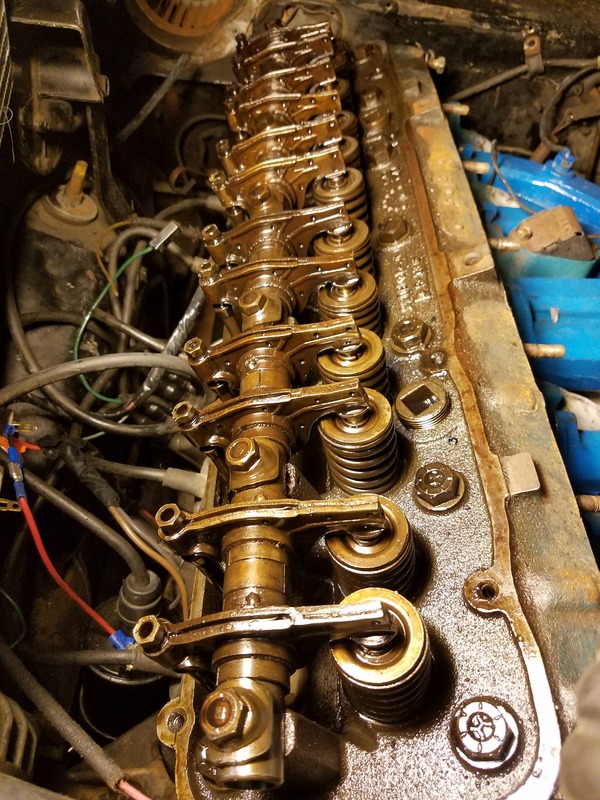 Spark plugs: NGK № ZFR5N (stock № 3459), gapped 0.035", with their metal ring washers in place -- the thing about removing them is only for '63-'74 heads. I found a leak at a what looks to be a corrosion point on the block. It is under and to the right of the first bottom stud. I pressurized the system with an air compressor which made a sloppy mess, but I am confident that there is a leak. It's hard to see in the images, but a paper towel touched to it showed a good amount of fluid. So now I humbly ask the advice of the forum, should I do this myself, or pay a professional? I do have a great space and the tools necessary to work on the thing. I am pretty mechanical, and actually had a 1961 Lancer about 20 years ago with the iron block. I fixed everything on that car aside from the head gasket or doing any real work on the engine itself, so this will be new territory. I understand the aluminum block is troublesome and a rarity. I am hoping to save it. Is dismantling it myself and taking the parts to a professional the most cost-efficient thing to do? I'd like to do this a much on my own as possible. Though if I have a tiger by the tail, I'd be wise to not monkey around. Any advice is much appreciated. That's a very pretty '62 Lancer—reminds me of mine! 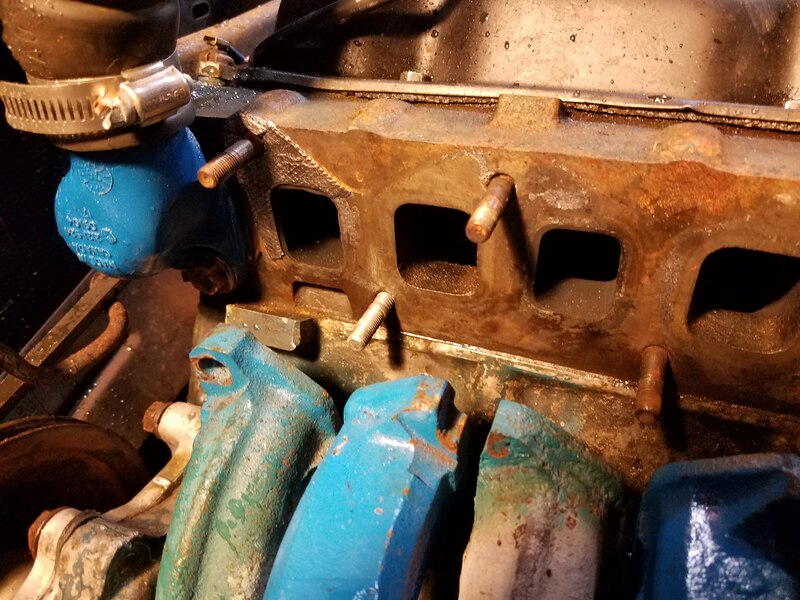 The aluminum block isn't "troublesome", it just requires correct, applicable service and repair techniques, specifications, and parts (special gasket). 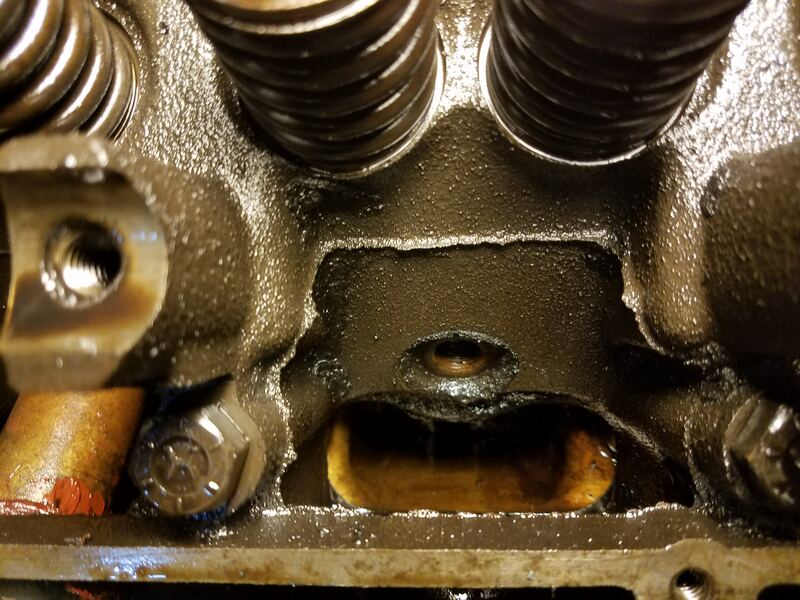 If the engine was running fine without evidence of water or oil getting in the cylinders, and you're not seeing "mayonnaise" in the crankcase, the engine is probably in fine basic condition. You're not going to make anything worse by taking it apart. It's going to be as bad as it's going to be whether you take it apart or not. If it's just being caused by corrosion of the block's gasket surface, you can thoroughly clean the surface, build it up with the right grade of Belzona, have it milled flat, and put it back together. Once you put it all back together, you'd do yourself a large favour to switch to waterless coolant (no corrosion, no pressure); see here (the stuff can be bought here. 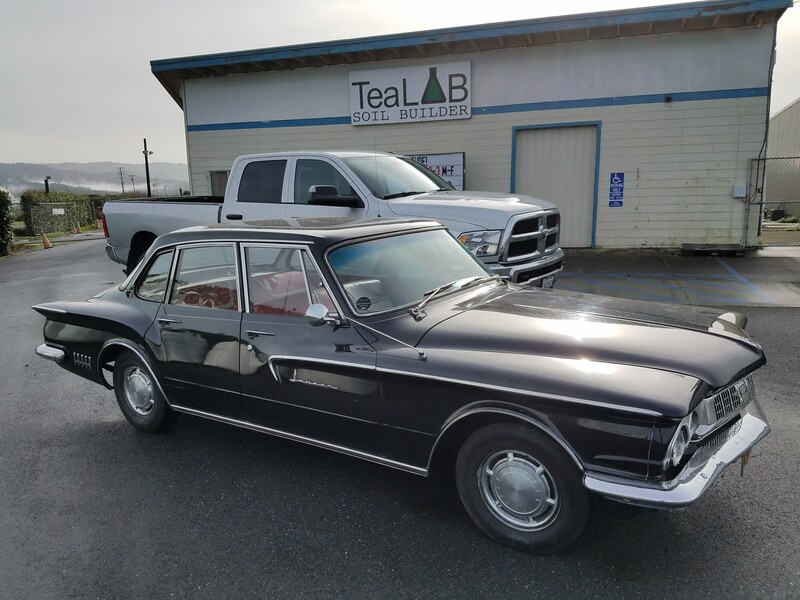 As to the head gasket: check Old Car Parts Northwest, check Olson's Gaskets, check Gerald Lettieri. How bad/fast is the leak? Also note this engine appears to have been apart before; originally it would've been painted red. It's running really rough, but could be so because I just put in the electronic ignition. I figure I'm going to just take it apart make sure everything's cool and put it back together. Or fix we need to be fixed. Yes this is a swapped engine in this car. I am not sure if the original one had the aluminum block as well. I got it from the granddaughter of the person who bought it, but they don't have any information passed that. If the water leak is that serious externally, the miss could be from water also entering a cylinder or two. Have you pulled any plugs to see what they look like? There's no such thing as too much cam....only not enough engine! I'm just gonna go for it. I took off the valve cover, removed the plugs, and got everything else ready to go. I will take the head off this evening. Here's what we see so far. 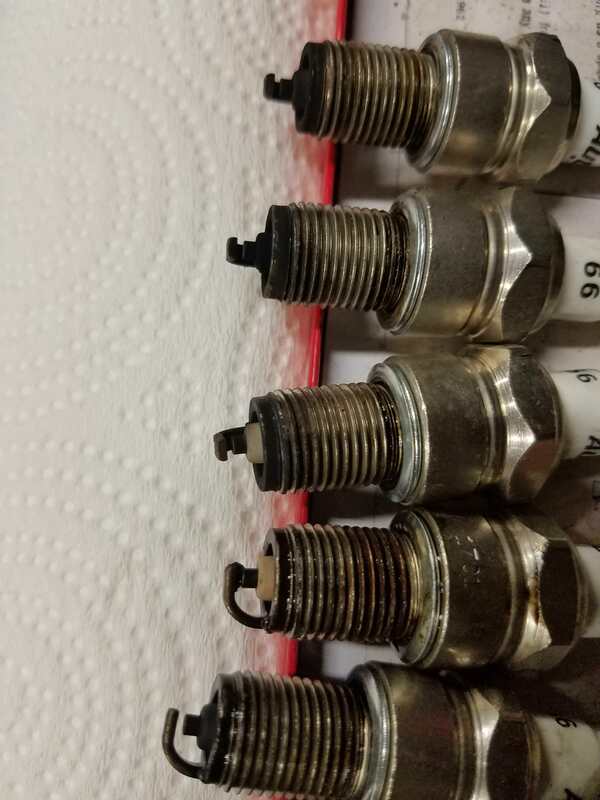 The plugs are only a few months old, with not much driving on them. It blew the radiator because I did not flush it when I first got it running. Notice the wet pavement in the picture. Hopefully this didn't ruin it. Won't not do that again. That fourth plug from the top doesn't look good. If I had to guess, I would suspect the cylinder that came from for a possible gasket leak into it. P.S.- you might want to size your pics smaller, takes a long time to load those large pics.